Upon graduation from ASU, Thomas obtained an SEC Series 3 license and traded commodity futures. After a year, he was offered a Marketing Director position with a medium-sized development company, and relocated to Dallas, to establish its Texas office. At the same time, he obtained a Texas real estate license and began his nearly 3 decade adventure in commercial real estate brokerage, investment and ultimately development. 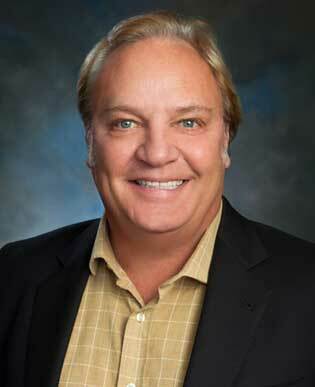 After 10 years in Dallas, Thomas returned to Phoenix and established Gardner Real Estate Company. An Arizona licensed, full-service commercial real estate Brokerage, its varied completed transactions range from the sale of Mirabel, a 1000 acre luxury golf course community in far north Scottsdale, to the Villages of Queen Creek, another golf course community located in the far southeast valley .. and many noteworthy deals located geographically in between. The Company has evolved over time into a consulting firm as well, for services ranging from Bankruptcy guidance to land entitlement to asset management. It also served as the development vehicle for investment in and construction of a large mixed used project named Villa Pallavicini, in Chandler Arizona. Outside of real estate, Thomas sits on the Board of Beamz Interactive, a Scottsdale-based firm engaged in design, development, manufacture and distribution of highly innovative, music-themed instruments. He also has invested in other similarly suited, leading edge technology companies involved in the smartphone space. Thomas has been active in various fund raising activities for Arizona State University. Initially he was instrumental in raising $1MM to establish the endowment for the Furst Private Equity program in the College of Business. Since, he has been heavily involved in the Sun Angel Foundation, acting as Chair of the Sun Angel Foundation Committee, and creator and Chairman of several significant event committees responsible for raising in excess of another $1MM. Thomas enjoys music, skiing, golf and travel and tackling new, exciting, and meaningful endeavors.